Is Your Kitchen Affecting Your Eating Habits? Everyone, at some point in their lives, is guilty of overeating. Maybe you're celebrating an event with dinner and sweets, or have a jam-packed schedule and eat quickly on-the-go. I crave a carb-laden dinner after a stressful day. (Totally understandable, right? Carbs increase serotonin production in our brains and make us temporarily feel calm.) Whatever the case, overeating is something we’ve all done. 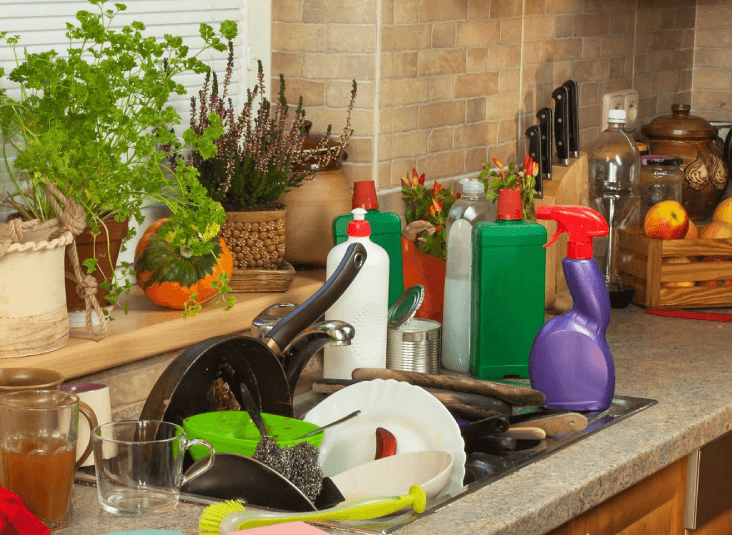 But did you know a cluttered kitchen can cause us to overdo it on our plates, too? According to a 2016 study published in the journal Environment and Behavior, a disorganized environment may cause us to subconsciously overeat. The experiment looked like this: researchers set up two kitchens. One was neat and organized. The other was littered with dirty dishes, old newspapers, and clutter. 100 people participated in the study and were brought into the kitchens, one at a time. Each participant was given a writing assignment. Some were told to write about a time they felt in life when they felt in control. The others were told to write about the opposite - a time when they felt out of control. While they were writing, they were given snacks and told to eat as much as they wanted. Among participants who wrote about feeling out of control, those in the messy kitchen tended to eat twice as many calories (from cookies) than the participants in the tidy environment. Overall, scientists found that participants who wrote about feeling in control ate fewer calories than those who wrote about feeling out of control. So what does this all mean? Researchers suggest that our mindset helps us manage the impact of a chaotic environment on our food intake - particularly for sweets. And, that your environment can affect your mindset. All the more reason to tackle your spring cleaning to-do list and get that kitchen organized!